Many over the counter enzyme pet odor removal products will get urine out of carpet and clothing if the carpet or clothing have NO detergent residue. That means they have never been washed or shampooed. NM orange fragrance smells really good. There is one product that really will remove urine, feces, vomit and spray from clothes, most fabrics, carpeting but not padding, flooring, car seats and carpet, all sorts of places. It is called OdorXit and it really works for me. Thank you for the tip, Martin. 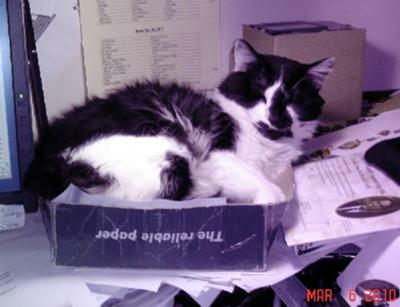 I hope you did not have too many pet odor stains to remove after this beautiful boy cat Zorro. What I really like about cats is that they are easy to train not to make too much of a mess which is very important in small apartments. Join in and write your own page! It's easy to do. How? Simply click here to return to Pet Odor Removal Tips and Stories.